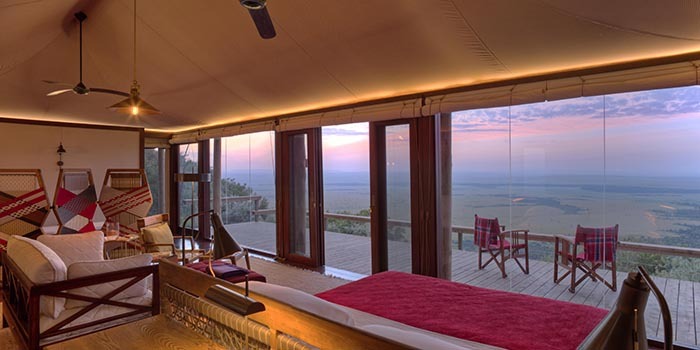 It is with great pride that we announce August’s Property of the Month – the magical, the outstanding… Agama Mara. Having visited this spectacular property a year ago we cannot sing its praises enough. Have a look at the video below or read on for why this is a destination… that should be at the very top of every safari-lover’s bucket list! At the very spot where the iconic Sydney Pollock film “Out of Africa” was filmed 30 years ago sits this world-class lodge. 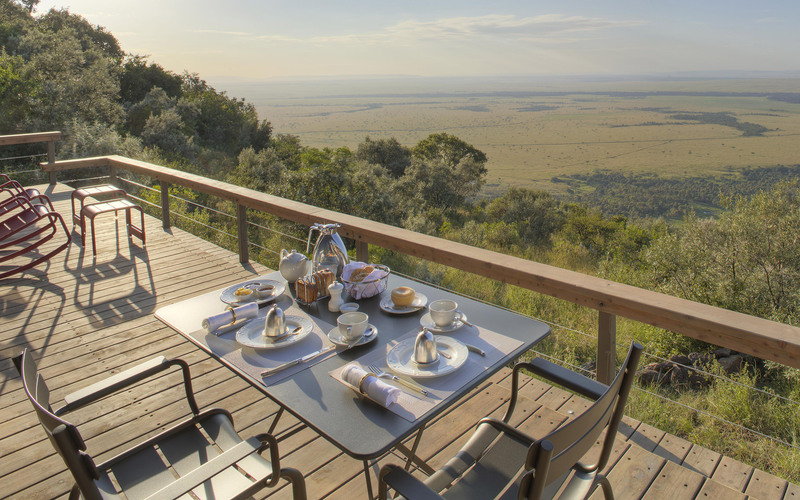 The view extends across the Masai Mara; “spotted land” as far as the eye can see, and you can even see the big five from standing on the deck. Sit back and relax with that ice cold G & T and let the game come to you. 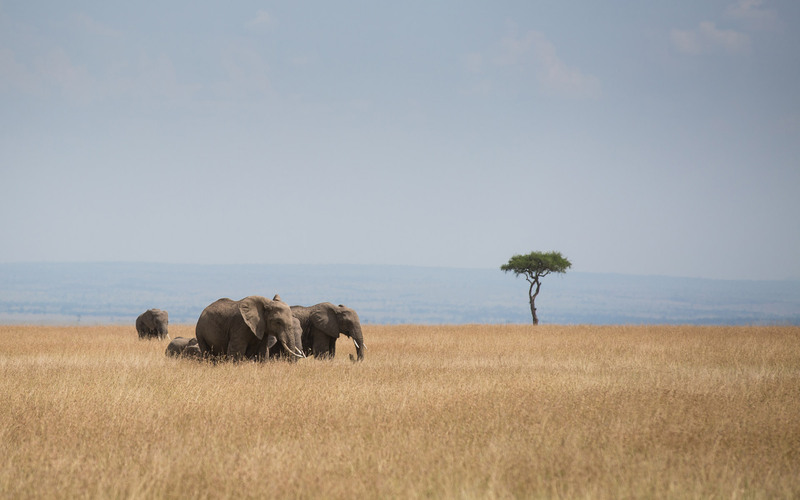 Watch hot air balloons take off at sunrise, wildebeest swarm over the land, clouds roll over into the valley and elephants drinking at the waterhole. 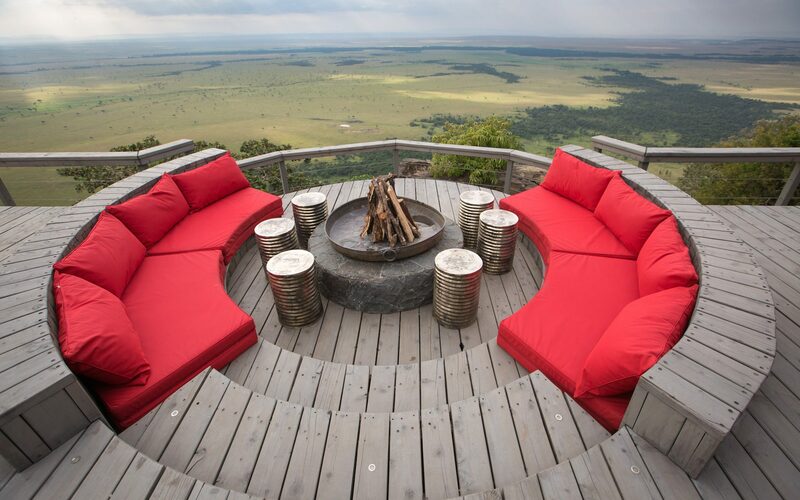 “When I go home I miss this view – I can’t wait to go back to work,” says John one of Angama’s brilliant guides. Designed to replicate a traditional Maasai village the décor is tasteful, welcoming and unobtrusive. It’s absolute indulgence with the utmost integrity and discretion. With two totally separate camps of just 15 tents each, there is nothing that detracts from the main feature of the space, which is very definitely the 180 degree view. Sit in opulent comfort, in amongst the woods, coppers, warm hues and contemporary pieces while looking out your very own window to the world. Unfaltering service, impeccable presentation and mouth-watering food craft every mealtime.